This is an entry level Viognier by Laurent Miquel whose family has been in the wine business in Languedoc since the 1970’s. Encouraged by the vibrant, lemon hue, this wine exudes a summery, sunshine-bathed cheerfulness. The nose is simple but exuberant showing peach, honeysuckle with a trace of toast. 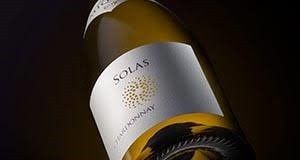 Crisp and refreshing on the palate, medium bodied, with little of the oiliness of some Viognier, it is round and expansive upfront until bracing midpalate acidity guides the wine through an increasingly mineral-laced finish. I find no evidence of oak. This is very good value, giving you enough of what you want in a Viognier for a reasonable price. It’s the middle of the winter right now with most of the the country socked in by bitter cold. I’m going to reach back to 1970 for a song, which, accompanied by this wine, will set your thoughts to summer—Mungo Jerry’s In the Summertime. And this wine will make the orange-infused buttermilk fried chicken taste scrumptious.